Experience a variety of award-winning wines, spirits, and local brews while enjoying the picturesque scenery of Pennsylvania. 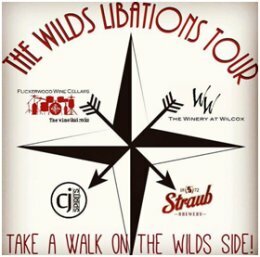 Take a “Ride on the Wilds Side”, as you tour and taste at CJ Spirts, Flickerwood Wine Cellars, The Winery at Wilcox, and Straub Brewery. CJ Spirits – A craft distillery is located at 120 Willow Run Drive, in Kane. Spirits are hand crafted using fresh local ingredients, pure “Allegheny Mountain” spring water, and state-of-the-art distillery equipment. Try the exotic taste of vodka, gin, rum, and whiskey while enjoying homemade appetizers, soups, salads and sandwiches. The Winery at Wilcox – The Winery at Wilcox-located at 1867 Mefferts Run Road in Wilcox, offers a variety of dry or sweet, red or white, fruit or grape wines; from a dry, oaked Cabernet, to a sweet blackberry dessert wine. After a wine tasting and tour, browse the gift shop that is brimming with selections of wine accessories and wine-themed gift ideas. Straub Brewery – Located at 303 Sorg Street in St. Marys, has been brewing since 1872. Take a tour to learn about the history of Straub and their brewing process. Sample some of the quality brews from the world famous Eternal Tap™, including unique American Lagers or traditional German-Style Craft Brews. Their gift shop offers a wide selection of collectibles, apparel and specialty items. 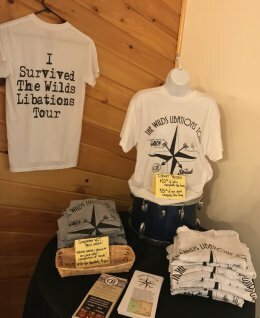 Wilds Libations Tour Card – Bring with you to each location to be eligible to purchase an “I completed The Wilds Libations Tour” T-shirt.